Last year I planted my first raspberry bush, so I'm expecting hoping for a plentiful crop of these beauties. 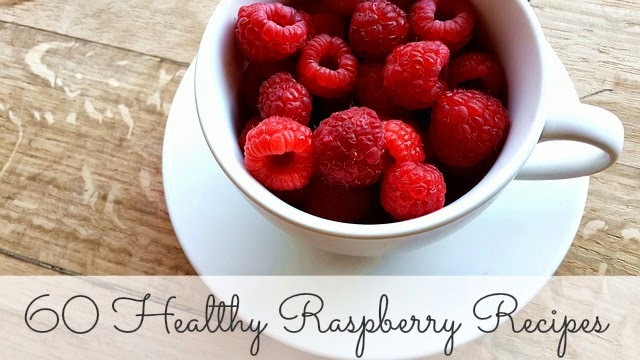 Raspberries have a great deal of health benefits, and you can read all about them at World's Healthiest Foods ~ Health Benefits of Raspberries. One of the benefits they list involves the potential for raspberries to improve management of obesity. You can read a technical abstract on the subject here ~ Anti-obese action of raspberry ketone. I hope you enjoy this roundup, and please, if you have a favorite recipe, feel free to leave a link. You can find more favorites on my Pinterest board ~ Raspberry Recipes. Blackberry-Raspberry Mini Cobblers, Skinny Ms.
Raspberry, Watermelon and White Nectarine Popsicles, Sugar et al.